Prime Minister Narendra Modi was conferred the Order of St Andrew the Apostle for “exceptional services in promoting special and privileged strategic partnership between Russia and India”, a Russian embassy official said. Moscow: Russian President Vladimir Putin signed a decree to award Prime Minister Narendra Modi the ‘Order of Saint Andrew the Apostle”, the highest order of the Russian Federation. The Prime Minister was awarded for exceptional services in promoting bilateral ties between the two countries, according to the Russian embassy. Established in the 17th century by Peter the Great around 1699, the Order of St Andrew the Apostle is the highest decoration of the Russian Federation. It was abolished in the Soviet Union in 1918 and re-stablished in 1998. 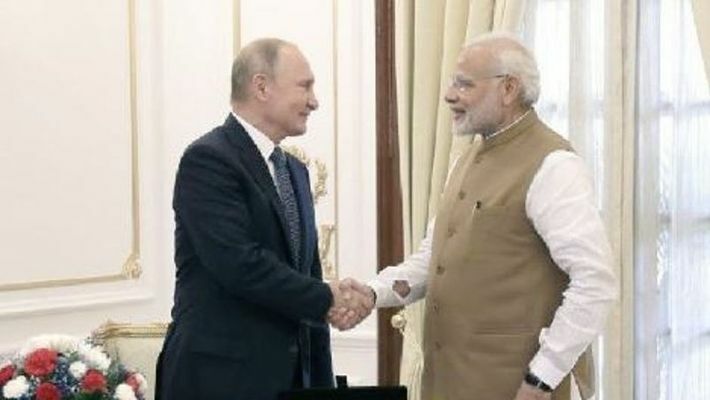 PM Modi was conferred the award for “exceptional services in promoting special and privileged strategic partnership between Russia and India”, a Russian embassy official said. The honour is bestowed upon outstanding public figures, politicians and civilians who have rendered exceptional service. Previous recipients include, Chinese president Xi Jinping who was conferred the Order of St Andrew the Apostle in 2017. With this award, the Prime Minister has taken his global award tally to seven. 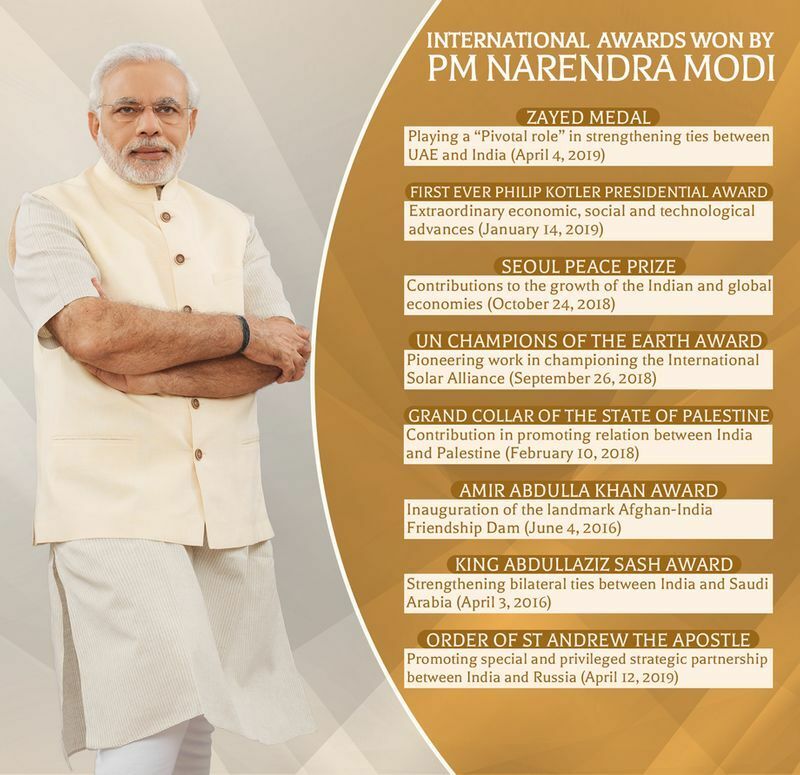 Along with a United Nations honour, he has previously been awarded the top honours from UAE, Afghanistan, Saudi Arabia, South Korea and Palestine.